Howard Greenberg Gallery has worked with Jerry Spagnoli to create a unique gallery experience this fall. Tired of going to run-of-the-mill photography exhibitions? This premier New York gallery will be focusing on 19th century photo techniques – daguerreotypes, photogenic drawings, calotypes, ambrotypes, tintypes, and camera obscuras – for modern use. The photographers featured include Takashi Arai, Stephen Berkman, Dan Estabrook,Adm Fuss,Luther Gerlach, and more. Industrialization homogenized the photographic documentation of the visual world, making the results more predictable. 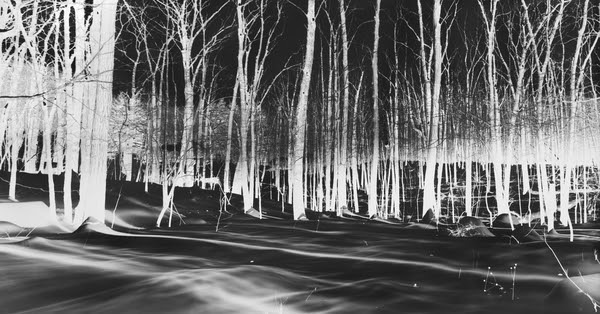 In reaction, the artists in “A New and Mysterious Art”: Ancient Photographic Methods in Contemporary Art acknowledge and embrace the primitive forms of photography. Utilizing these early methods – and equipment – today allows for a newly personalized expression and a direct engagement with the medium. Among the works on view will be daguerreotypes by Takashi Arai; albumen prints from wet-plate collodion negatives by Stephen Berkman; salt prints from calotype negatives by Dan Estabrook; daguerreotypes by Adam Fuss; relievo ambrotypes by Luther Gerlach; work made using a room-sized camera obscura by Vera Lutter; wet-plate still lifes, portraits and figure studies by Sally Mann; ambrotypes by Matthias Olmeta; pigment prints from photogenic drawings by France Scully Osterman & Mark Osterman; and daguerreotypes and wet-plate collodion ambrotypes by Craig Tuffin. Jerry Spagnoli (b. New York, 1956), a photographer since the mid-1970s, is considered the leading expert in the revitalization of the daguerreotype process, a complex photographic technique invented in 1839 that produces images on highly polished, silver clad copper plates. Since 1994, he has experimented with 19th-century materials and studied the effects achieved by early practitioners in order to understand the technical aspects of the process, as well as its expressive, visual potential as a medium. Spagnoli began work on an ongoing photographic series entitled The Last Great Daguerreian Survey of the 20th Century in 1995. The project features views of the New York as well as images of historically significant events including the destruction of the World Trade Center on 9/11, the vigil following the disappearance of John F. Kennedy, Jr., and Times Square at midnight on the eve of the new millennium and the first Inauguration of President Obama. Spagnoli is also known for his collaboration with artist Chuck Close on daguerreotype portraits and nudes. The exhibit will open September 15th and conclude October 29th.